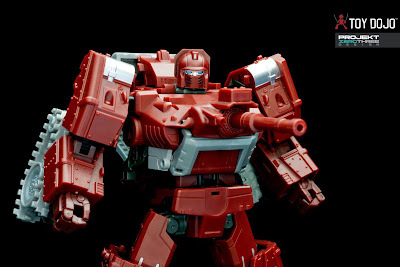 Dojo Digest - WWW.TOYDOJO.COM: BadCube OTS-04 WarDog Preview! 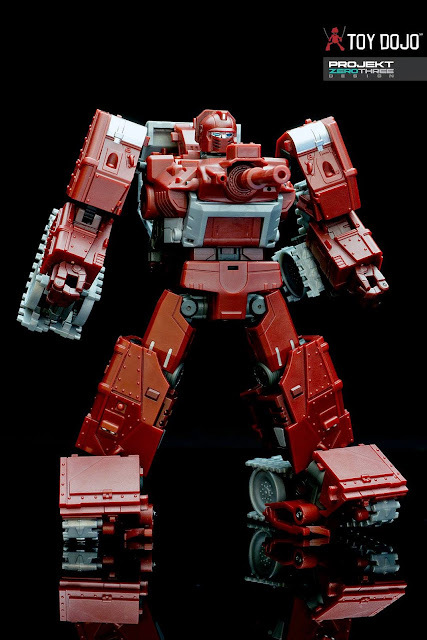 Thanks to BadCube, we've been lucky enough to be able to get our hands on a pre-production sample of their upcoming OTS-04 Wardog. Here's a quick written review by ProjektZeroThree with a full video review from Paik4Life forthcoming. The box design is the familiar two color solid block design as we would expect. It's a lot larger than the last three releases. Upon opening the box I was blown away by the sheer size of the figure. We've seen pictures of with comparisons to MP-10 Optimus Prime and MP-22 Bumblebee, but it's not till you're actually holding this figure that you can really appreciate the size of it! 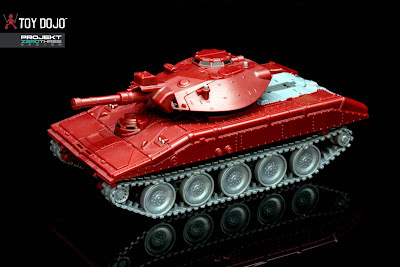 In tank mode the detail is amazing! 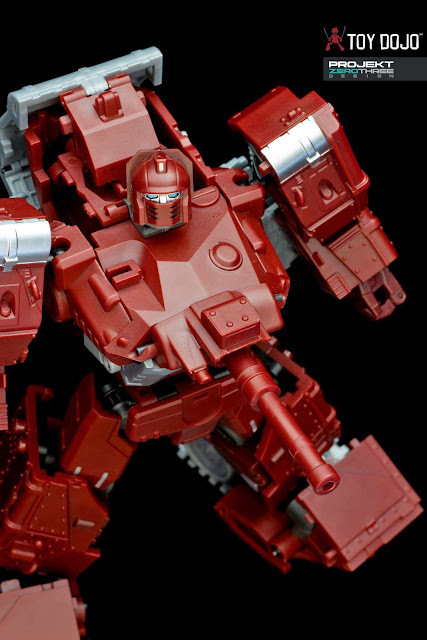 The colors are spot on for G1 Warpath and the molded design is incredible! 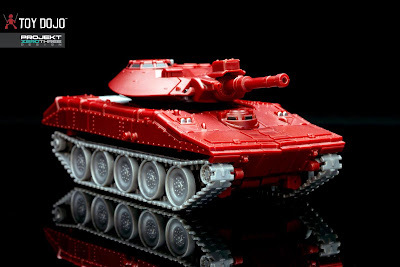 The tank treads are molded on and made of plastic but still looks pretty good in alt mode. 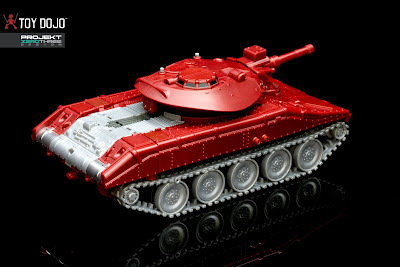 The conversion from tank to robot mode has a bit of complexity built in. It's wonderfully engineered and thought out. Every part fits in nicely and attaches with precision. The shoulders were a bit tricky to convert but the instructions that were included assisted with the conversion. Wonderful details on the face and body. BadCube did a wonderful job with this figure! The quality and detail is probably the best they've done thus far. 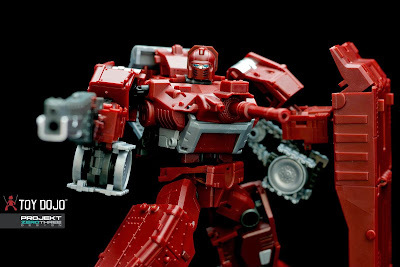 Super posable with very good joints. 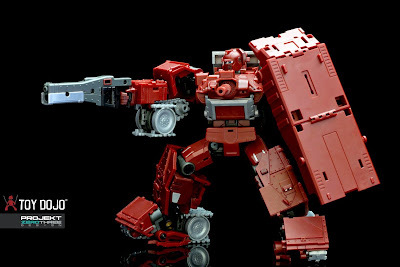 While we didn't have any issues with any of the joints, BadCube did let us know that there will be more joint improvements on the final production versions. 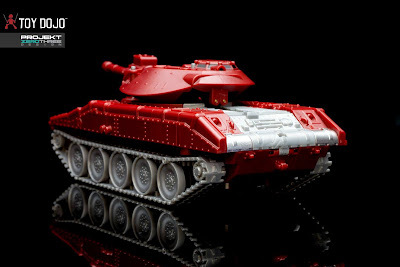 This is definitely one to pick up for your MP collection. The pricing was a concern at first but after playing with this, I have to say it's completely worth it. The amount of detail and complexity is phenomenal. 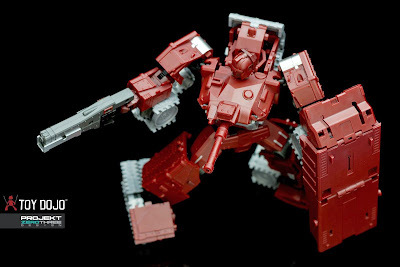 The quality is all there and I can see that BadCube is really upping their game! 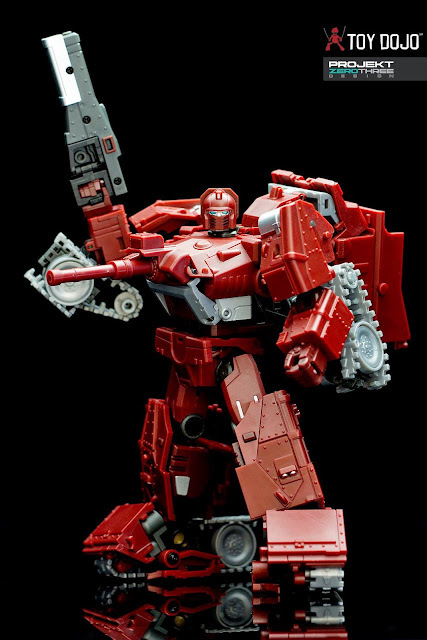 My one suggestion is maybe having a swivel on the shield so that it can rotate as you're quite limited on how you can pose the shield. But that's such a minor thing to such a great figure. 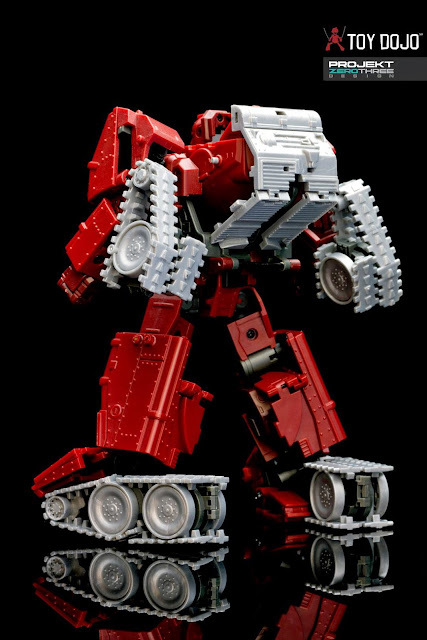 I'm looking forward to all that BadCube has planned for the future! Nice review, Brandon! looks to be a definiite must-buy. How's he scale in comparison with some of the other MP figures? I'd like to see a pic with him and Prime and some of the other MP cars. 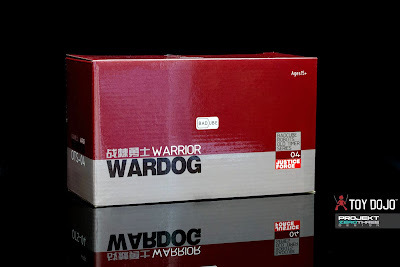 BadCube's OST-04 Warrior Wardog review! Soul of Chogokin GX-34R Gunbuster! Unique Toys Ordin soon to be completed! !